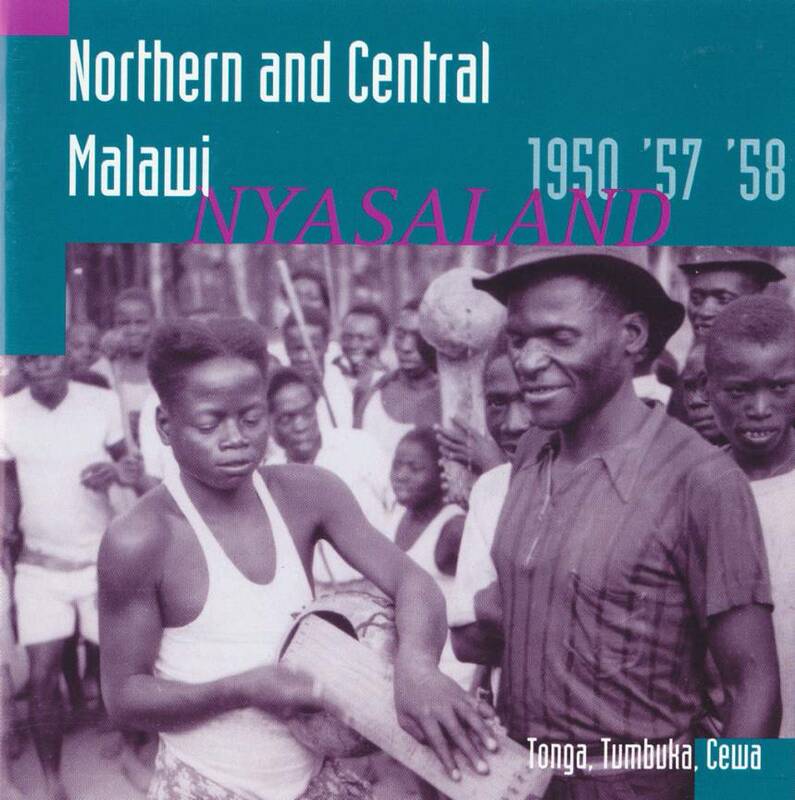 Twinned with our other Malawi album SWP 013, but now with music from the northern half of Malawi, more wonderful bangwe zither songs, and malipenga kazoos, but also the karigo lute, the kubu bow, the kalimba – and exceptional a capella singing. An album of musical jewels. Tonga, Tumbuka and Cewa peoples recorded by Hugh Tracey. Total time: 67'17". 20 page booklet. Tracklist: 1. Dala Wangu Ukamunyenga Masotho, 2. Chilongozi Waulende Wamoyo Zina Lake Yesu, 3. Suzgu Muyaya, 4. Ndalama Ndi Satana, 5. Ndaluza Ine, 6. Ani Sibani Nimabuka, 7. Wezulu Walila, 8. Nijurireni, 9. Timbenge Tingaruwa, 10. Walowela Mawa, 11. Chigwinini Chikuko Mana Nawo, 12. Mbaya Mwana Wane Bamutya Cimbwe, 13. Ndipeko Kayuni Karimbula, 14. M'Sodomo, 15. Awelemuwo Ee Dandaula, 16. Misozi, 17. O Jere, 18. Tumbuka Ku Kaya, 19. Two Bow Songs, 20 Three Kalimba Songs, 21. Maka Yaya, 22. Kantengo, 23. Idzani Muone Kuwala, 24. Mangondo Azipita, 25. Chifundo Chamanga. Repertoire 2000 (F): "Voici deux CDs consacrés au Malawi, petit pays fort peu présent dans la discographie africaine. Cinq peuples sont à l’honneur, l’un à l’autre, une diversité de styles et une quantité de surprises de qualité." "Here are two cds dedicated to Malawi, a country hardly represented in African discography. Five peoples have the honour, one after the other, with a diversity of styles and full of quality surprises."